The future of work is a hugely relevant topic for an industry built around face-to-face relationships. Insurance is plagued with headlines of ‘AI taking over the world’ and ‘Robo-advisors are here to stay’. However, the commercial insurance space is still dependent on people given the heterogenous nature of the data that needs capturing. Beyond this, clients are still reluctant to insure their businesses via online means, particularly once their business reaches any level of sophistication and complexity. With traditional organisations in insurance (and many other industries) having complex hierarchies and a chain of command for all working processes, it makes the working environment very rigid for employees; especially if they are near the bottom of the chain with limited opportunities to flourish in a traditional environment. Line managers are often seen quite negatively by employees lower down in the ‘chain of command’, breathing down the necks of employees in their team rather than encouraging success and working with individuals’ skills to allow them to work more independently. Although it isn’t possible for all firms to completely overhaul their culture and company structure – we believe there is a better way of running an organisation, taking some inspiration from a few sources as well as looking at other industries that are ahead of the game and building successful organisations built on a forward-thinking structure. 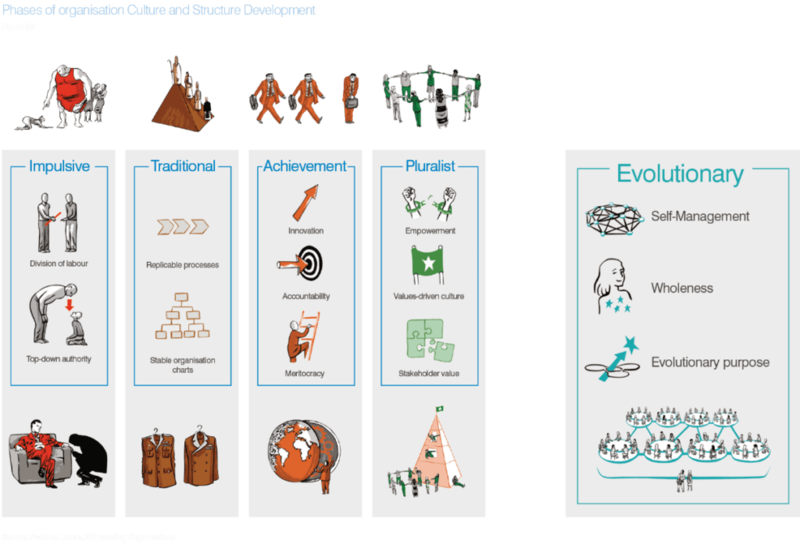 ‘Reinventing Organizations’ sheds light on an entirely new working paradigm focused on self-managed and autonomous teams that actually deliver higher economic output whilst employees remain engaged, focused and happy. Apply this to the broker scenario and a positive outcome is not only possible but makes sense due to the nature of the roles necessary and the tech that exists to facilitate the strengthening of these relationships both internally and externally. The research looks at how structures have changed over time, with some key trends up until now plus a vision for the next stage of organisational culture and structure. We talk about how this may work within insurance in our research report ‘The Future of Commercial Insurance Broking’ (download here), where brokers will work as teams and structures will have more transparency, self-management enabled by new technology, and a purpose to focus on the client and being a true risk advisor and a key part of their business – as important as an accountant or lawyer! Similar models have been emerging in estate agency with firms like Purple Bricks, and in law firms such as Keystone Law. With little hierarchy, independence to treat work as a business but with support, technology and processes from a central head office – these models are proving that you don’t have to open regional offices and have huge overheads to run a successful nationwide organisation. With reduced hierarchies and improved processes – broking firms of the future will be less transaction focused, and more about providing clients with wider risk management advice and ongoing support as part of the service. Which in turn would increase client retention even further and highlight the success and professional development opportunities for individual brokers. Having elements of collaboration within a firm will also improve culture and create happier brokers! We can’t find any negatives of working this way – which is why we are going to scale following this model, hiring commercial brokers around the UK and working with them to make them successful as individuals with all the support (and our self-built broking platform) they need. We believe the future is bright and ripe for disruption – especially in commercial insurance! 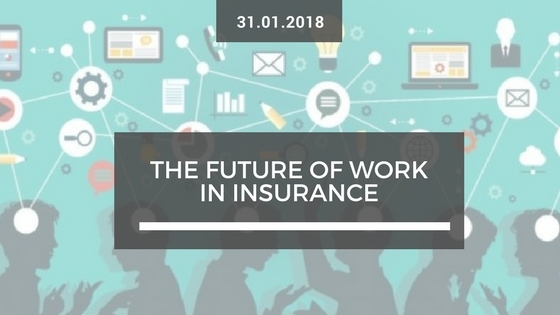 Let us know how you think insurance organisations might look to change in the future – will they start moving towards a self-organising model or in a completely different direction?